Rochester Public Utilities (RPU) is pleased to announce that the American Council for an Energy-Efficient Economy (ACEEE), a nonprofit research group based in Washington, D.C., has recognized the Neighborhood Energy Challenge as an “exemplary program” as part of a national awards program to honor America’s leading energy efficiency programs. The Neighborhood Energy Challenge is a partnership between RPU, Minnesota Energy Resources, and the Center for Energy and Environment to promote energy efficiency to homeowners in Rochester, MN. Programs selected for this honor were judged to be especially noteworthy for their effectiveness and innovation in helping customers achieve greater levels of energy efficiency in their homes, businesses, and industries. “These programs are delivering energy savings that are critical in helping customers reduce their energy costs, plus they make an important environmental contribution by reducing pollution from the use of fossil fuels,” noted ACEEE Utilities Program director Dan York, Ph.D.
Over the course of the past 30 months, the Neighborhood Energy Challenge has hosted 24 workshops and introduced energy efficiency to nearly 1,100 Rochester residents. In addition, over 800 customers have signed up for an energy audit of their home. For more information about the awards or ACEEE, contact Dan York, ACEEE Utilities Program Director at dwyork@aceee.org. 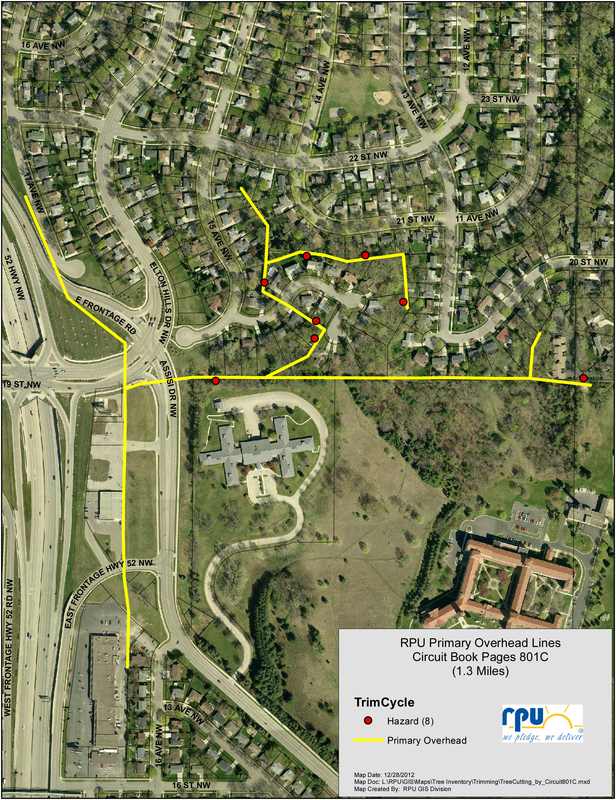 RPU has a regular tree trimming cycle to manage and maintain tree clearance for overhead lines in Rochester. 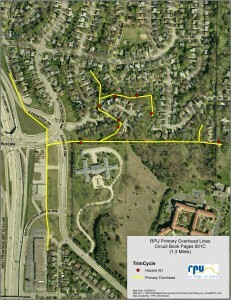 The map below shows where crews will be starting on Friday, March 8. Depending on the location, it may take several weeks for the crews to adequately trim back and remove vegitation. You are currently browsing the Rochester Public Utilities | Behind the Meter blog archives for March, 2013.